The Coral Reef Conservation and Management Program within Puerto Rico’s Department of Natural and Environmental Resources was established in 1999 in order to conserve, manage, and protect coral reef ecosystems, and has run a coral reef monitoring program since its inception. Other activities held around Puerto Rico includes the “I only anchor in sand” campaign aimed at protecting seagrass and corals, painting ocean-related murals, and public coral reef presentations and workshops. 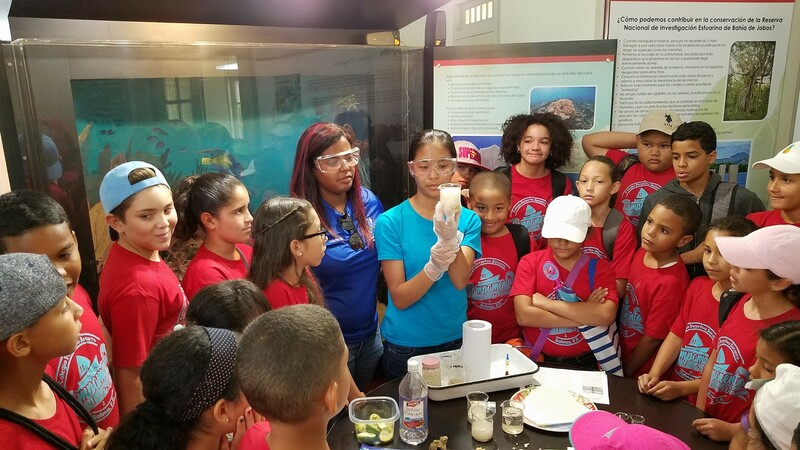 Marine Science Day Open House in Mayagüez. 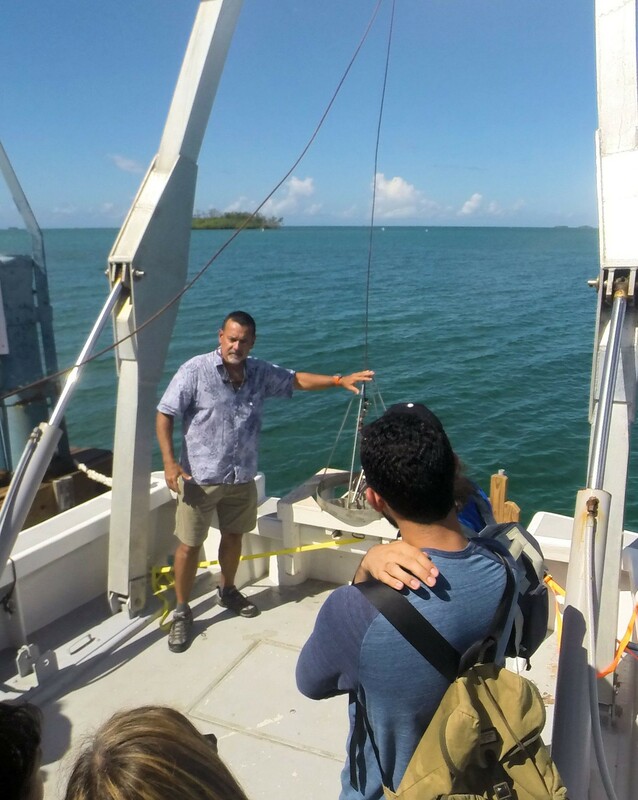 Dr. Ernesto Otero, the director of the Department of Marine Sciences at UPR Mayagüez, gives demonstrations to visitors on the use of sediment dredges on board the R/V Sultana. 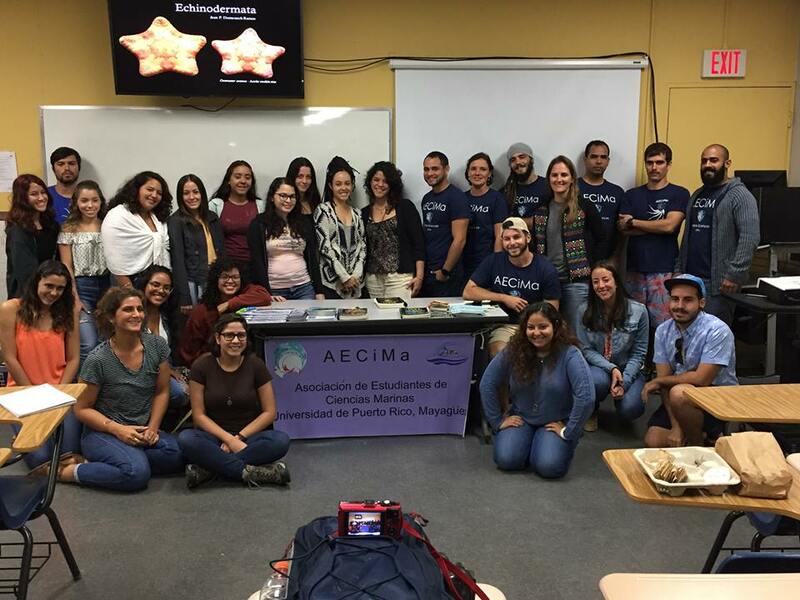 On August 31, a total of 352 visitors attended the Marine Science Day Open House, hosted by AECiMA (Association of Marine Science Students) and the Department of Marine Sciences at University of Puerto Rico Mayagüez campus, where various topics were discussed including coral reef ecology, use of drones for resource management, systems for oceanic observation, and coastal erosion. Visitors were guided through the research areas in Magueyes Island, where different activities were set up for students and professors to discuss their research. Activities included a tour where AECiMa students guided groups to a local viewpoint and taught about the formation of the La Parguera Natural Reserve, specifically highlighting the benefits of having coral reefs near the coastlines during extreme weather events such as Hurricane Maria. Yo Amo Tres Palmas Marine Reserve Reef restoration and clean up. Visitors got the chance the check out the Tres Palmas Marine Reserve’s impressive Acropora palmata and the results from reef restoration activities through the guided snorkel tours. On September 22, volunteers gathered and restored approximately 170 corals and about 50 lbs. of trash from the beach and reef in Tres Palmas Marine Reserve, located off the west coast of Puerto Rico. This brings the Reserve’s total to more than 1,000 corals planted since the destruction from hurricane Maria in 2017. 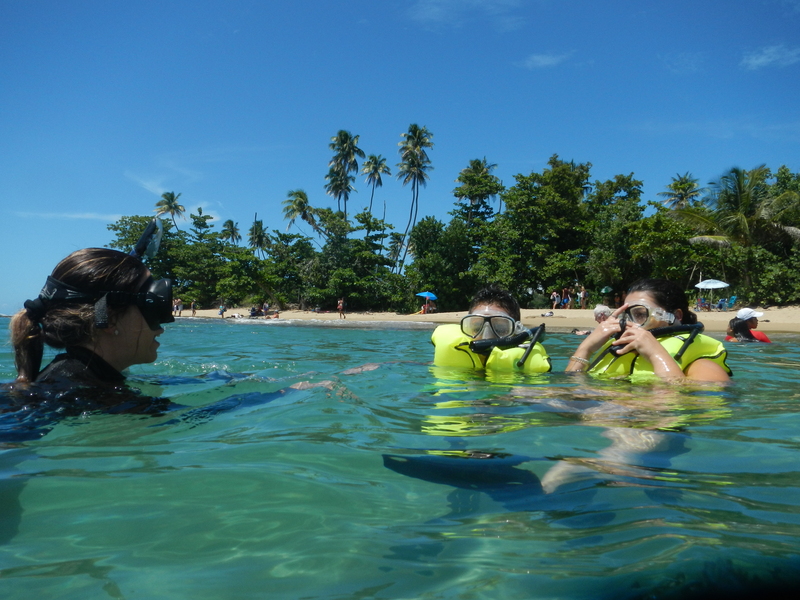 Other activities included free snorkel tours, local educational exhibitions related to coral reefs, and kid’s activities including a sand castle competition. Isla Verde Reef Marine Reserve’s 6th Anniversary! Isla Verde Reef Marine Reserve celebrated its 6th anniversary on September 29 at their kiosk right on the beach, with informative talks on responsible snorkelling, the marine reserve as a protected area, and a summary of the work carried out in the reserve, as well as workshops discussing microplastics in the sand and beach profiling. 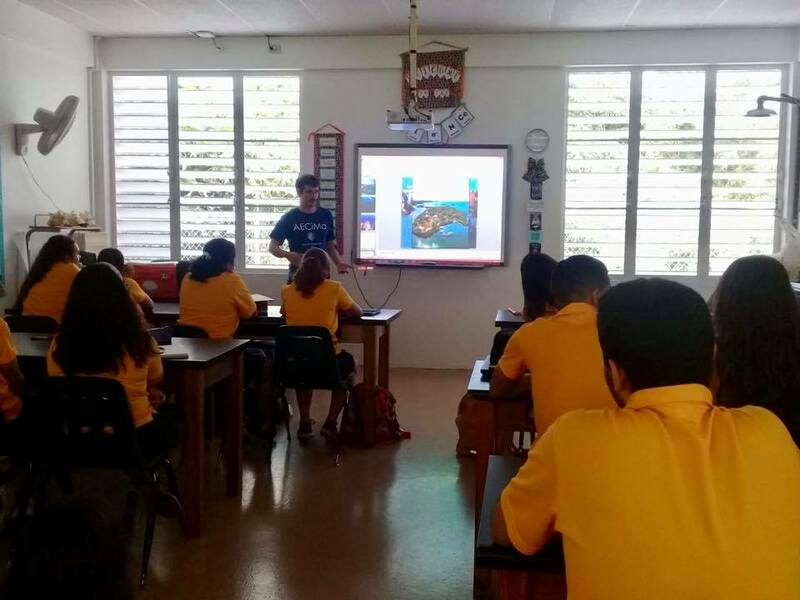 AECiMa continues its efforts to engage the public in coral reef conservation and celebrate IYOR 2018 by holding outreach events and educational talks to public and private schools and universities, with topics ranging from basic coastal ecosystem ecology and conservation to career opportunities in Oceanography.